be at greater risk. N5AI0s are contraindicated for the treatment of peri-operative pain in the setting of coronary artery bypass graft (CA6G) suryery. Fastum gel contains ketoprofen 2.5 g/100 g.
A colourless , non greasy , non-staining gel with an aromatic fragrance for topical application. For local relief of pain and inflammation associated with soft tissue injuries and acute strains and sprains. 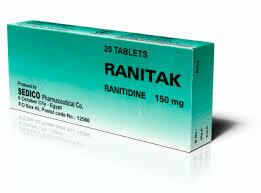 – Fastum shoutd be applied toptcally to the affected area two or three times daity. Maxhnum duration of use shoutd not exceed 12 days. 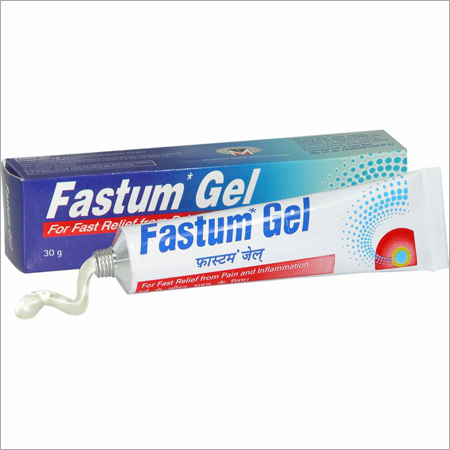 Fastum should be applied with gentle massage onty. – Aduhs and elderly: Tube: Apply 5 to 10 cm of gel (100- 200 mg ketoprofen) with each application. – Children under 12 years of age: Not recommended as experience in children is limited . Hypersensitivity to the active ingred;ent. to any of the excipients or to other substances which are dosely related to these chemically, such as acetyl salicylic acid or other non-steroid anti-inflammatory drugs and fenofibrate. Ketoprofen gel shook( not be administered to patients in whom acetyt salicylic acid or other NSAIDs have caused asthma, rtlinitis or urticaria . Ketoprofen gel should not be applied to open wounds or lesions of the sIOn. or near the eyes. – Discontinue use if skin rash devefops. – Hands should be washed immediately after use. – D0 not use with occlusive dressing. -Topical applicatlon of large amounts may result in systemic effects, including hypersensitivity and asthma. – Ketoprofen gel should be used with caution in patients with serious kidney failure. – The use of topical products. especially if it is prolonged, may give rise to phenomena of sensitisatoo Of local irritation. – To prevent any phenomena of hypersensitivity or photosensitivity, avoid exposure to direct sunlight, including solarium (sunbeds), during the treatment and for 2 weeks afterwards. – Keep out of the reach and sight of children . – P” warning: If symptoms persist after 12 days, consult your doctor. – Undesirable events may be minimized by using the lowest effective dose for the shortest possible duration necessary to control symptoms. No interactions of Fastum with other drugs have been reported. It is. however, advisable to monitor patients under treatment with coumarinic substances. Fastum should not be used during pregnancy and lactation. No embryopathic effects have been demonstrated in animals but epidemiological data give no dear evidence of the safety of ketoprofen in human pregnancy. Clinical data show that the use of NSAIDs during the final three months of pregnancy may cause pulmonary and cardiac toxicity in the foetus. NSAIDs can also delay birth when administered during pregnancy. been detected in mothers’ milk. No effects on the ability to drive and use machinery have been reported. ingredient, hence on the amount of gel applied, on the surface involved, on the degree of intactness et the skin, on the duration of the treatment and on the use of occfusive bandages).Since marlteting, the following adverse reactions have been reported. They have been listed according to classes of organ and system and classified according to their frequency as foflows: very common (equal to or above 10%); common (ranging between 1% and 10 %), uncommon (ranging between 0.1% and 1%), rare (ranging between 0.01% and 0.1%); very rare (below 0.01%), including isolated reports. Elderly patients are particular1y susceptible to the adverse effects of non-steroidal anti-inflammatory drugs. Considering the low blood levels of ketoprofen by the percutaneous route. no overdosaqe phenomena have been described yet. Pharmacotherapeutic category: non-steroid anti- inflammatory drug for topical use. inflamed joints. In addition, Ketoprofen is a powerful inhibitor of bradykinin (a chemical mediator of pain and inftammation), it stabilises lysosomal membranes against osmotic damage and prevents the release of lysosomal enzymes that mediate tissue destruction in Inflammatory reactions. After oral administration of a single dose. maximum blood concentrations are achieved within 2 hours. Ketoprofen plasma half·life ranges from 1 to 3 hours. Plasma protein binding is 60%·90%. Elimination is mainly by urinary route and in glucuronated form; approximately 90% of the amount administered is excreted within 24 hours. By cutaneous route, absorption is instead very low. In fact the percutaneous application of 5()..150 mg of ketoprofen produces plasma levels of the active ingredient of 0.08· 0.15 mg/mLapprox. 5-8 hours after application. Fastum allows the site specific topical delivery of ketoprofen with very low plasma concentrations of drug. Therapeutic $evels in the affected tissues provide relief from pain and inflammation, yet will satisfactorily overcome the problem of significant systemic unwanted effects. In animal trials no embryopathic effects have been found, while there is no epidemiological evidence of the safety of ketoprofen in human pnignancy. In preclinical and clinical trials on Ketoprofen no serious adverse effects have been observed, although anecdotal cases of systemic adverse reactions have been desaibed. There are no preclinical data of relevance to the prescriber which are additional to that already included in other parts of the SPC. Fasturn contains the following excipients: carbomer 940. ethanol. neroli essence, lavender essence. trolamine, purified water. Store at temperature not exceeding 300e. Minapharm for Pharmaceuticals & chemicals industries under license of Menarini – Italy.